IT spending is on the rise – but where will the money go? State, local and education leaders discussed top trends at the Center for Digital Government's Beyond the Beltway event March 14. Private-sector representatives and IT leaders in state and local government and education gathered to discuss what's next for the state and local government and education IT markets at the Center for Digital Government and Governent Technology's annual Beyond the Beltway event in McLean, Va., March 14. Much of the news was positive, as each of the vertical markets continues to show signs of stability and growth. 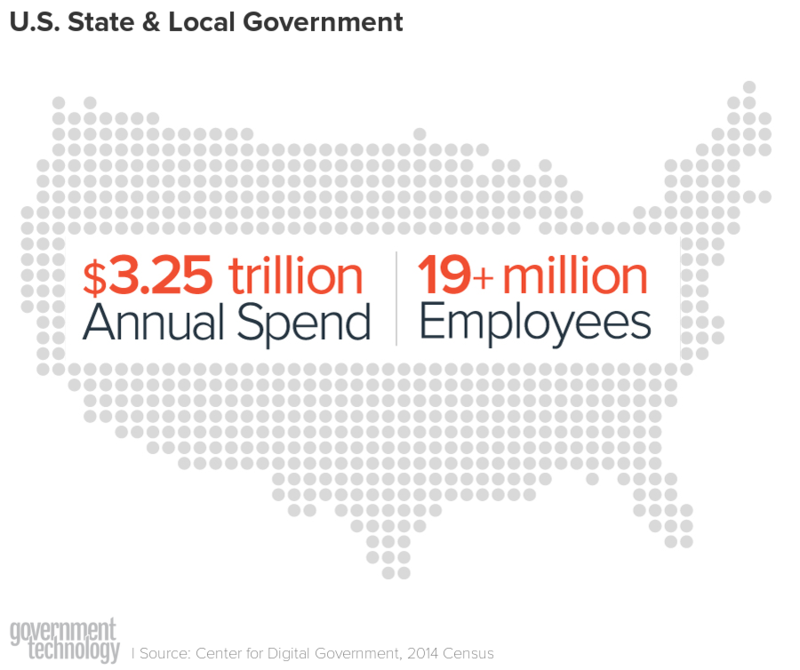 Joseph Morris, director of market intelligence for the Center for Digital Government, said the latest market data reveals that state governments are expected to spend $47.4 billion on IT this year, the sixth year in a row in which IT spending will increase. Local governments are predicted to spend even more money - $52.4 billion, a figure demonstrating that local budgets have now reached pre-recession levels. The news around education was also positive, as state funding for K-12 increased by nearly $15 billion last year. With more money available to spend on IT, the question is, where will states, local governments and educational institutions spend it? 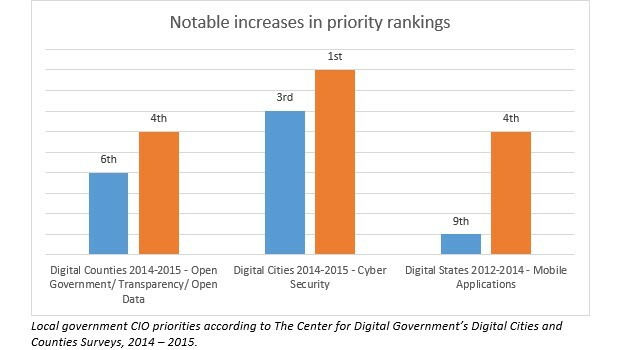 According to recent Center for Digital Government surveys, state priorities revolve around cybersecurity, shared services, cloud computing and staffing. State leaders - including Illinois CIO Hardik Bhatt, Indiana CIO Dewand Neely, Missouri CISO Michael Roling and Maryland COO Greg Urban - assembled for a State Market Forecast, and all agreed that cybersecurity is currently the biggest priority for their respective states. Neely said his state is implementing a number of changes to improve cybersecurity, including securing funding for cyberhygiene and awareness efforts. "You can put the big fence up all around the neighborhood, but if your users are just going to hand away the key, it's not going to do any good for you," he said. Neely added that cybersecurity is such a big priority because the "bad actors are getting so sophisticated," that protection is increasingly difficult and time-consuming. Roling of Missouri said his state is challenged with how to share cybersecurity information with other states and how to be more proactive in protecting their data rather than just reacting to the latest threats. In addition to cybersecurity, Bhatt said technology modernization and IT spending control is another high priority in his state. Illinois is the third biggest spender when it comes to state government IT, shelling out nearly $1 million per day, he said. Yet that spending is rarely used to help advance the state's agenda because the technology is so dated that most of the resources go to simply maintaining what they already have. Bhatt also wants to improve the process of doing business with the state, which he says is much too difficult for both citizens and vendors today. "We're working on a new approach that will focus on how IT affects the state's customers positively," he said. "Fixing the business of IT comes first." Bhatt said the state will break down its objectives into milestones and then establish a governance framework for all state agencies to follow. They'll also implement measureable goals to help agencies keep tabs on their progress. Urban of Maryland said his state is similarly focused on improving IT efficiencies. "We don't think we spend too much on IT - we just don't spend it well enough," Urban said. "We don't need to do more with less, we need to do more with what we have." The panelists also agreed that a more agile approach to procurement is needed in order to advance state IT modernization efforts. Following the State Market Forecast, Miguel A. Gamiño, Jr., CIO and executive director of the Department of Technology for the city and county of San Francisco, Jerome Mullen, CIO for the city of Baltimore, and Bill Schrier, CIO for the Seattle Police Department, led a Local Market Forecast. The panelists revealed that cybersecurity is also their number one concern, along with open and transparent government, mobility and staffing. Mullen of Baltimore echoed a common theme for both state and local governments: "By the time we get the technology, it's already old," he said. "How do we shorten that cycle and become more efficient?" Gamiño said he has had to take a new look at how his department conducts business in order to meet changing citizen demands. "We've had to reorganize our infrastructure to become more agile and responsive and to try to be as elastic and transparent as the market," said Gamiño. "We've transformed the way we speak to our customers - actually treating them as customers - and in some cases offering them new choices." Attracting the next generation of workers is another ongoing challenge for state and local government. According to the Center for Digital Government, one in four government employees were eligible to retire as of September 2015. By 2025, millennials will make up 75% of the global workforce, so states and cities must make efforts to entice them. Toward this end, Gamiño announced that San Francisco has hired a dedicated tech recruiter who will focus on attracting new graduates to the local government ranks. Beyond the Beltway also dove into projected spending in several large verticals this year, taking a closer look at estimated IT spend, drivers and opportunities in each area. Here's a closer look at some of what was discussed. The Center for Digital Government estimates that the Transportation sector will have $10 billion to spend on IT in 2016. Major drivers include outdated infrastructure, a desire to automate and growing maintenance and repair costs. Major IT opportunities include things like "smart" infrastructure, real-time analysis of traffic and modernizing back-end applications. Randy Cole, executive director of the Ohio Turnpike and Infrastructure Commission, said shifting demographics will also drive changes in transportation. "Millennials will not accept outdated systems and we can't accept that kind of waste," he said. The Center for Digital Government predicts the HHS space will have $25.9 billion to spend on IT in the coming year. Growing caseloads and rising expenses means there is more demand than ever for integrated systems and coordinated programs. States also need IT solutions that drive cost-containment and programs that offer customers experiences that are seamless, simplified and timely. K-12 education will have an estimated $11.7 billion to spend on IT this year. Major drivers include evolving curriculum and standards as well as the shift to digital education. "Some of the major trends in education right now, such as personalized learning, competency-based learning, blended learning, and open educational resources are driving the need for more technology and better connectivity in classrooms," said Dr. Kecia Ray, executive director for the Center for Digital Education. Fortunately, E-Rate funding has already been increased by 60 percent, and there may be an additional $1.5 billion available in 2016, according to the Center for Digital Education. The increase in E-rate funding is a welcome sign, as the move to more tech-based learning will likely require schools to build better, faster networks. The higher education vertical is expected to spend $10.8 billion on IT this year. Network upgrades are a major driver here as well. Fifty-nine percent of higher educational institutions reported network upgrades were a top priority. Storage and data centers also present a significant opportunity, with nearly 50 percent of educational institutions reporting that they are planning investments there. State and local governments will spend an estimated $8.5 billion on finance and administration IT this year. Major drivers include outdated financial systems, security concerns and workforce issues. IT opportunities in this space include analytics for fraud prevention, data sharing and ERP system replacements and/or cloud opportunities. IT opportunities in the Justice and Public Safety vertical are expected to reach $7.5 billion this year. Major drivers and opportunities revolve around the growing use of video, managing data growth, and funding for wearables such as body cameras. Next-generation 911 systems and drones for use in emergency management scenarios also have the potential to drive large investments. State and local governments are projected to spend $7.5 billion on utility-related IT projects in 2016. Potential projects include things like automated water infrastructure and the use of data and analytics to improve a variety of areas, including constituent billion and problem solving. 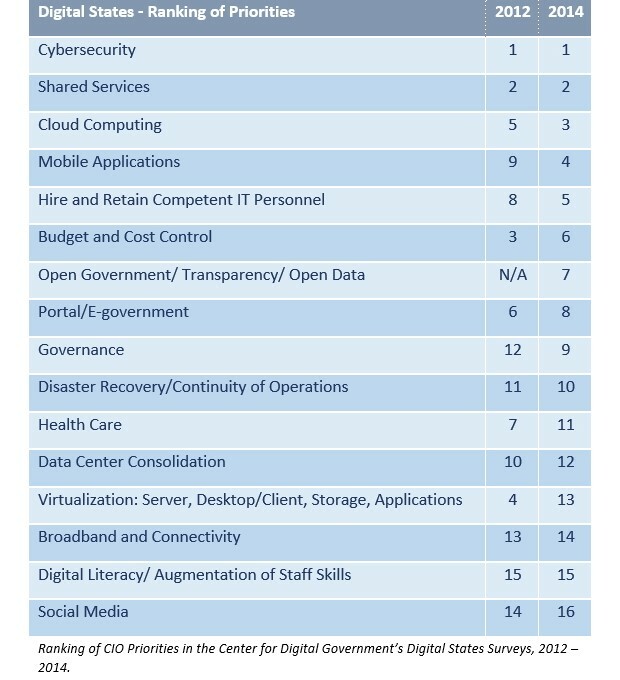 The Center for Digital Government estimates $7.3 billion will be available to spend on IT projects in the environment and housing space in 2016. Major drivers include a lack of visibility into repairs, the need for transparency, and improvements to licensing and permitting activities. Significant IT opportunities should be found in areas like inspections applications, analytics and dashboards, and GPS and mapping. For more details, view a Slideshare of the complete Beyond the Beltway presentations here or read Government Technology's coverage here . Government and education leaders attending Beyond the Beltway also had suggestions for how the private sector can help them manage their needs and IT priorities. "Rather than just try to sell a product or solution, try to engage with us, understand what our barriers are and then help us pull all those things together," said one government CIO. "Also, help us keep pace with what's going on in the market. The earlier on we understand those things the quicker we'll be prepared to consume."